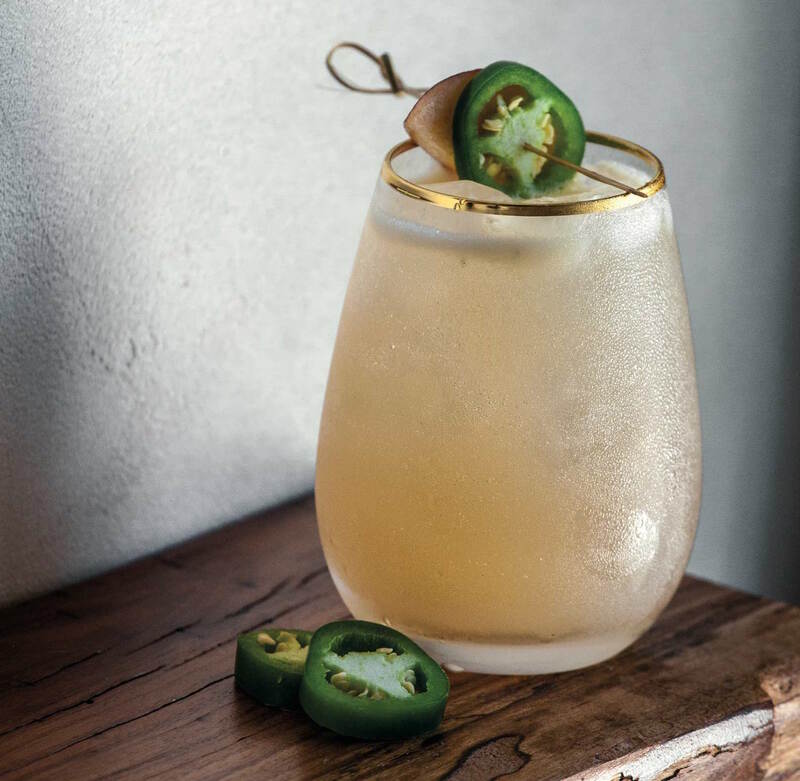 Desert Door’s sandstorm margarita combines its signature sotol with lime, peaches, rosemary, and jalapeño.In 2016, graduate students Judson Kauffman, Brent Looby, and Ryan Campbell stood around in a college parking garage drinking Mexican sotol from the bottle before class. “Not half bad,” Kauffman remembers as the collective reaction. Tasting room opens Thurs 3:30 p.m.-8 p.m., Fri-Sat 11:30 a.m.-8 p.m., Sun noon-6 p.m. This wasn’t an attempt to get rid of pre-exam jitters—it was in the name of research. Two years later, the three are running their own sotol distillery, Desert Door, based in Driftwood, just southwest of Austin. While the processing takes place in the Hill Country, the origin of the mostly unfamiliar liquor is in West Texas, where the sotol plant (Dasylirion texanum), or “desert spoon,” has nearly 9,000 years of history. 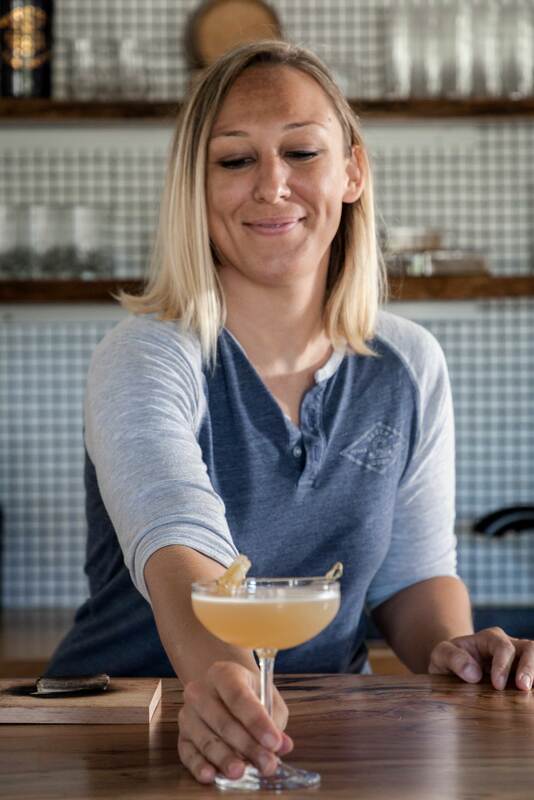 Bar manager Bobbi Lee Hitchon serves up a yaupon Palmer. For now, Desert Door is the only domestically produced sotol on the market. That niche is not lost on the entrepreneurially savvy trio of founders, who are also military veterans. Kauffman, Looby, and Campbell first came up with the idea for Desert Door in a “New Venture Creation” class at the McCombs School of Business at the University of Texas at Austin. They were tasked with creating a fictional company to present in a class competition. While Looby and Campbell pitched high-tech ideas that drew from their military backgrounds, Kauffman suggested they try something a little more fun—the class was an elective, after all. He remembered hearing his uncle, who lived in Fort Stockton, talk about people moonshining sotol in West Texas. After coming in first place in the class competition, they decided to launch Desert Door for real. 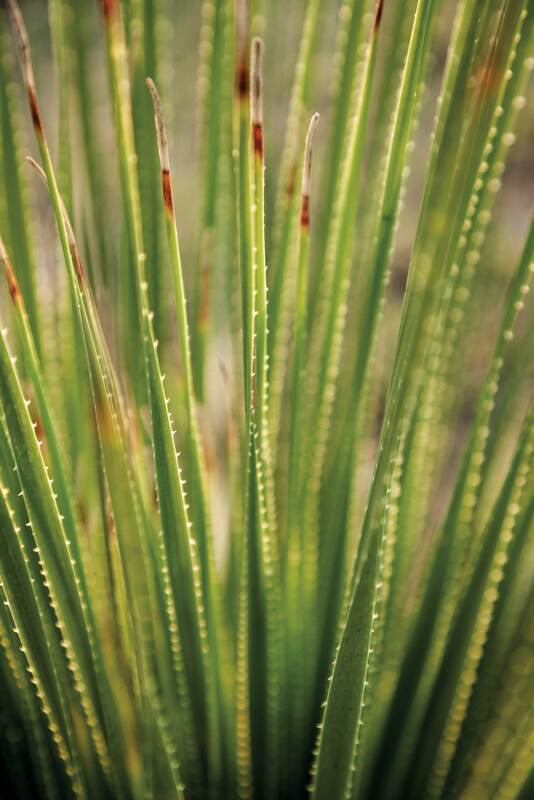 The spiky, sharp leaves of the sotol plant. 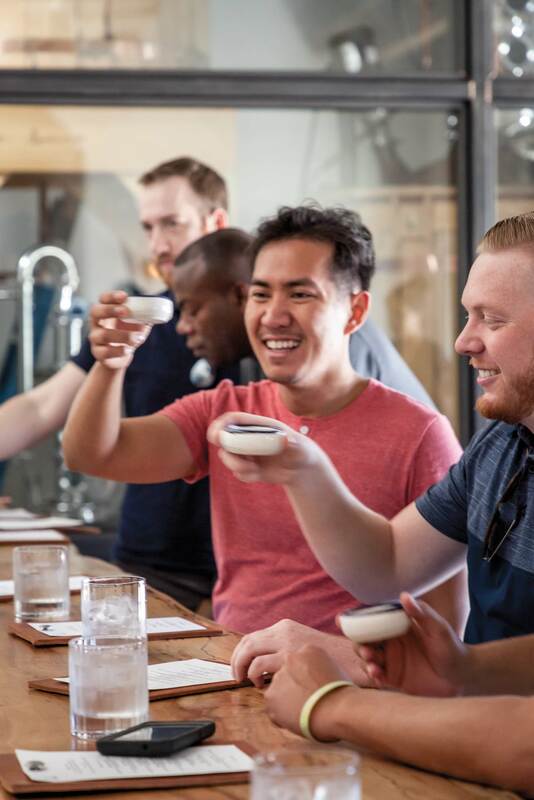 But for three people who’d never worked in the spirits industry and were set on producing a little-known and not-really-sought-after liquor, the learning curve was steep. As Looby states, “There’s no YouTube video on this.” So they had to learn how to harvest, process, ferment, and distill sotol. 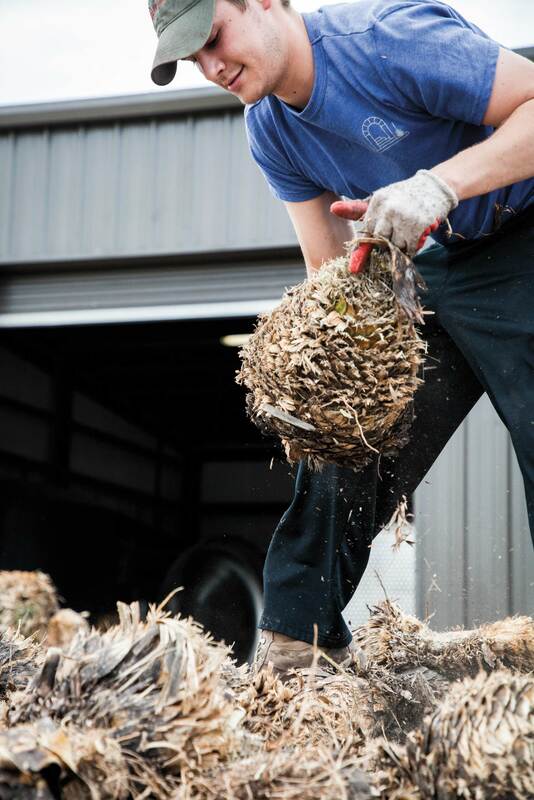 In the first stages of recipe testing, they roasted the plant in home ovens and shredded it with a wood chipper. Then they moved on to steaming them in a pressure cooker and fermenting in homebrew buckets. It took six days of work to get the first shot of product. These days, they’re distilling up to 400 gallons of sotol a month with plans to triple production soon. A shipment of 10,000 to 24,000 pounds of harvested sotol from Fort Stockton and Iraan shows up at their distillery weekly. (They’ve cut deals with West Texas cattle ranchers to get the unwanted plants off their land.) They cook the heart in a custom steam-pressure cooker, grind it up, express all the sugar out of it with purified water, and then ferment it for five days, until it’s ready to be distilled. Patrons belly up to the bar. The unmistakable scent of cooked sotol—sweet and almost syrupy—floods your nostrils as soon as you enter Desert Door’s tasting room. With white stone masonry, Saltillo-tile floor, tan leather couches, and succulents, it taps into West Texas at its sleekest and trendiest. The outdoor patio space is also small yet refined, featuring picnic tables and a stage for live music, enclosed by steel planters with yuccas and more succulents, and tall stands of bougainvillea. While the bar does offer a charcuterie plate, hungry patrons get their fill from food trucks parked outside. When you sidle up to the bar, start off with a neat half-ounce pour in a ceramic cup. As Looby describes the flavor, “it starts off very grassy and herbaceous, and there’s kind of a sweet note in the middle, and then it finishes really earthy.” Once you’ve got a good base, it’s time to move on to the creative cocktail menu, which features many types of drinks you’d normally make with tequila, like the margarita and the strawberry-rhubarb paloma, a summer specialty. The seasonal list also features the sandstorm margarita, made with peaches, jalapeño slices, agave, and rosemary sprigs; and the yaupon Palmer with yaupon tea (another beverage made from a Texas plant), lemon juice, agave, and honeycomb. And if you really love sotol, you can take home a bottle for $55. Sotol hearts are piled up for processing.